To manage academic quality and standards, SIRM takes account of the QAA Framework for Higher Education Qualifications, the Code of Practice and Subject Benchmark statements, and reflects the principles and expectations of these frameworks in its awards. Overall responsibility for Quality and Standards is located with Academic Board. Academic Board responsibilities span research, teaching and scholarship, admission and assessment of students, appointment of external examiners, academic standards, working towards ISO9001, Investors in People, Information technology--Learning, education and training, Quality management, assurance and metrics, the curriculum and review of programmes. UK higher education has a well-deserved reputation across the world for its high level of academic quality and rigorous academic standards. SIRM follows QAA Code of practice, which provides a guide for universities and colleges on managing academic standards and quality. The Code of practice covers a range of issues and is divided into sections. Some of the sections relate directly to courses and the other sections have aspects and guidance that have an impact on the academic standards and quality of courses, but are managed by the university or college as a whole. SIRM has been accreditation / approved by the following organisations: Please click on the tabs given below for more information. For further details of our HND courses please visit our Courses section. Our centre number is 07968. For further information about Pearsons approval and courses please contact us on 020 7078 7029 or courses@sirm.ac.uk. SIRM is very proud of its success in gaining a partnership with Brooklands College to act as a sub contractor to provide training on apprenticeships. Brooklands College (BC) is one of Surrey’s largest providers of vocational training and further and Higher Education. The Education Skills Funding Agency (ESFA) have named Brooklands College as the best of the apprenticeship providers. Brooklands College offers a diverse range of courses and are renowned for their excellent teaching, with students travelling long distances to benefit from the Brooklands College experience. The support BC provides to their students is second to none and it is well recognised as one of their key drivers for success. BC was also awarded ‘Good’ by Ofsted after the college’s December 2013 inspection; the Report said that ‘Vocational students achieve well, developing good practical and technical skills to support progression to higher levels of study or employment.’ BC has strong vocational programmes for full time students and most recently has fast tracked their apprenticeship programme, with new pathways being developed to suit the needs of local and regional employers. Courses for adults include professional and Higher Education options making it easier for people to study locally on a part-time basis saving them both time and money. For more information about Brooklands College, visit www.brooklands.ac.uk. SIRM is very proud of its success in gaining a partnership with East Sussex College Hastings to act as a subcontractor to provide training in apprenticeships and HE courses. For more details about this partnership arrangement please email us your enquiry at intloffice@sirm.ac.uk or call us on 020 7078 7029. For information about East Sussex College please log on to www.sussexcoast.ac.uk. 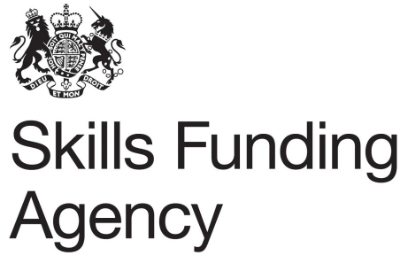 SIRM is a Registered Training Organisations by Skills Funding Agency (SFA). We appear on the Register of Training Organisations (ROTO) as Numerica Risk Management and Consulting Ltd which is the parent company for SIRM. The register can be found at https://www.gov.uk/government/publications/register-of-training-organisations. We have successfully passed ROTO Part 1 and Part 2 and been given good Financial grade by SFA. SIRM has successfully achieved NCFE centre approval to deliver their regulated qualifications including apprenticeships. Our centre number is 8467204. In 1981, the Northern Advisory Council for Further Education (NACFE), which was established in 1947 to coordinate further education provision throughout the nine LEAs, merged with the NCTEC to become the Northern Council for Further Education. NCFE today is a national awarding organisation, offering over 500 qualifications at different levels and in a wide range of subject areas. NCFE recognise the skills, knowledge and understanding achieved by a learner at a particular level and in a particular subject. 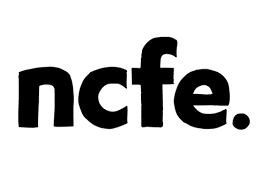 For more information about NCFEC please log on to https://www.ncfe.org.uk . SIRM has become BCS's approved centre (holding centre # AP10170047) to run these two qualifications. 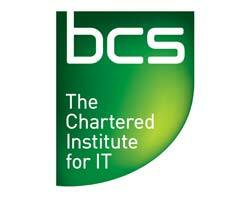 To find out our Centre details on BCS website please click here. For more information about BCS please log on to www.bcs.org or contact us by phone on 020 7078 7029 or by email at info@sirm.ac.uk. We are pleased to announce that SIRM has been approved by EAL to deliver their electrical courses. EAL is the specialist, employer recognised awarding organisation for the engineering, manufacturing, building services and related sectors. extensive news, events and networking facilities. For information about EAL please log on to https://eal.org.uk/. "The School of Information Risk Management's UK campus is accredited by Accreditation Service for International Colleges (ASIC), which is an independent body providing accreditation services for independent, further and higher education colleges. For more information about ASIC, please log on to www.asic.org.uk. SIRM has been approved by Innovate Awarding for End-Point-Assessment for Business Management and Health Care apprenticeships. Innovate Awarding is a Ofqual approved UK awarding body. For more information about Innovate Awarding please log on to https://www.innovateawarding.org/. As part of SIRM's community and industry engagement, SIRM has become a Member of Sussex Chamber of Commerce. The chamber works actively with Sussex Council and other agencies to stimulate business and help influence decision making in the Borough. 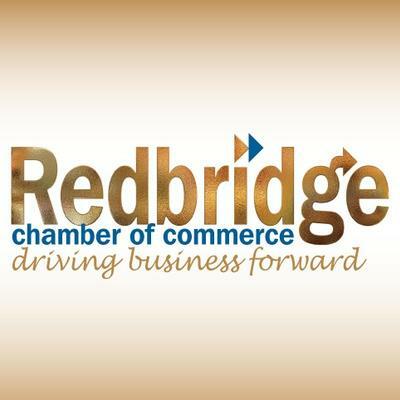 For more information about the chamber please visit www.sussexchamberofcommerce.co.uk. SIRM centre approval application for Gateway Qualifications has been approved. SIRM is now authorised to offer their Ofqual regulated ESOL Skills for Life E1-L2 (all components); and Functional Skills for English and Maths qualifications. For more information please contact us on 020 7078 7029 or email at info@sirm.ac.uk. SIRM has been approved by ATHE to offer their qualifications from Level 3 to 7. Awards for Training and Higher Education provides centres with a wide variety of qualifications including, but not limited to; administration management, business, tourism, law, computing and health and social care. ATHE has made a name with good customer service, excellent quality standards and rewarding qualifications with progression routes to university degrees. ATHE provide a qualification development service, bespoke training support, comprehensive university progressions, dedicated support from an ATHE officer, simple easy to use documents and website, innovative qualifications, External Verifier support, flexible delivery solutions, a global focus and a close business development relationship. For more information about athe please log on to www.athe.co.uk. SIRM is now registered with Information Commissioners Office for Data Protection Act. To find out SIRM's name on the register, please log on to https://ico.org.uk/esdwebpages/search and enter our registration number i.e. ZA197832. There are more than 400,000 registered data controllers. We publish the name and address of these data controllers, as well as a description of the kind of processing they do. For more information about ICO please log on to www.ico.org.uk. SIRM is registered on UK Register of Learning Providers. To find out our name on the register please log on to https://www.ukrlp.co.uk/ and enter our UKRLP ref number i.e. 10057622.